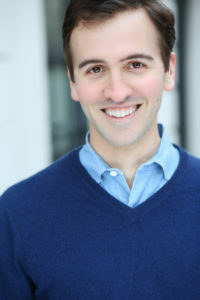 GREG EDWARDS wrote the scripts for Application Pending (Off-Broadway, Drama Desk nomination) and Craving for Travel (Off-Broadway), both co-authored with Andy Sandberg, lyrics for Neurosis: A New Musical (Merry-Go-Round Playhouse, SALT Award for Best New Musical), and book and lyrics for Evelyn Shaffer and the Chance of a Lifetime (City Theatre, Samuel French OOB Festival winner, Take a Ten Musicals), Taking the Plunge (Samuel French OOB Festival, NYMF), and The Almost In-Laws (Take a Ten Musicals). He has collaborated with Marvin Hamlisch (White House Governors’ Dinner, Mr. Hamlisch’s holiday tour) and Arthur Laurents (Love Affair). 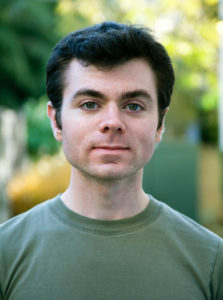 Greg’s essays are published in Avidly (Los Angeles Review of Books) and McSweeney’s, and his game Jessica Plunkenstein and the Dusseldorf Conspiracy (NYT “Best Adventure Game of the Year”) was published by PC Gamer UK. Honors and approximations thereof include the BMI Harrington Award, the Fred Ebb Award (two-time finalist), and a Nickelodeon Writing Fellowship (top-12 semifinalist). Greg graduated Phi Beta Kappa from Yale, belongs to the BMI Workshop and Dramatists Guild Fellows, and can be stalked most effectively at www.greged.com.